The already storied history of the Chicago Cultural Center is about to be even greater. StoryCorps, the national nonprofit oral history organization, will launch a new program, StoryCorps Chicago, at the Chicago Cultural Center, (78 E. Washington) this spring. In partnership with the Department of Cultural Affairs and Special Events (DCASE) and Chicago Public Media, StoryCorps Chicago will provide the opportunity for anyone to record an interview with a loved one. StoryCorps Chicago will partner with a wide array of local organizations and institutions to ensure that every Chicagoan has the opportunity to share their story. Dynamic public events presented throughout the year will celebrate the diverse communities that constitute the richness of our city. StoryCorps Chicago will also have its own local series airing on WBEZ 91.5, featuring stories collected through the project. StoryCorps Chicago will feature an exhibition area that will allow visitors to listen to StoryCorps stories and watch a selection of StoryCorps Animated Shorts, as well as learn more about how to participate in a StoryCorps interview. “The idea behind StoryCorps was in many ways born in Chicago, and we are thrilled to launch our Midwest hub at the Chicago Cultural Center,” says Dave Isay, StoryCorps Founder. “StoryCorps is excited to give Chicagoland the chance to record their stories for American history, and to deliver our services to this great city for many years to come." individuality and the larger human experience. StoryCorps has proven to be wonderful resource for sparking personal conversations that have the capacity to impact us all. We're very pleased to have to opportunity to bring more of StoryCorps to residents of our region." Design review and other preparations for the StoryCorps installation have begun, and construction is scheduled to begin in the spring. StoryCorps Chicago will be located on the Michigan Avenue side of the building, just east of the Randolph Street Café and adjacent to the Michigan Avenue Galleries which currently feature an exhibit by local artist Claire Ashley entitled “frizzflopsqueezepop”. The future site of StoryCorps Chicago most recently hosted a temporary exhibit-related program associated with Industry of the Ordinary: Sic Transit Gloria Mundi: the “small ordinary shop”, which featured the works of local artisans. Major funding for StoryCorps is provided by the Corporation for Public Broadcasting. Additional support provided by the Cancer Treatment Centers of America. Local funding for StoryCorps Chicago comes from The Joyce Foundation, The Boeing Corporation, Polk Bros Foundation, and the Lloyd A. Fry Foundation. StoryCorps Chicago is the latest programming addition to the Chicago Cultural Center which now includes a weekly DJ series called “Wired Fridays”, a bi-monthly happening for the stroller set called “Juicebox” and reinvigorated theater and dance programs. StoryCorps’ mission is to provide people of all backgrounds and beliefs with the opportunity to record, preserve, and share their stories. Each week, millions of Americans listen to StoryCorps’ award-winning broadcasts on NPR’s Morning Edition. StoryCorps has published three books: All There Is: Love Stories from StoryCorps, Mom: A Celebration of Mothers from StoryCorps and Listening Is an Act of Love —all of which are New York Times best sellers. For more information, or to listen to stories online, visit storycorps.org. Major funding for StoryCorps is provided by the Corporation for Public Broadcasting. Additional support provided by the Cancer Treatment Centers of America. The Department of Cultural Affairs and Special Events (DCASE) is dedicated to promoting and supporting Chicago’s arts and culture sector. This includes, but is not limited to: fostering the development of Chicago’s nonprofit arts sector, independent working artists, and for-profit arts businesses; presenting high-quality, free or low-fee cultural programs accessible to residents and visitors; and marketing the City’s cultural assets to local, regional, and global audiences. DCASE produces nearly 2,000 public programs, events and support services annually, generating millions in economic benefits for the City of Chicago. This e-mail, and any attachments thereto, is intended only for use by the addressee(s) named herein and may contain legally privileged and/or confidential information. If you are not the intended recipient of this e-mail (or the person responsible for delivering this document to the intended recipient), you are hereby notified that any dissemination, distribution, printing or copying of this e-mail, and any attachment thereto, is strictly prohibited. If you have received this e-mail in error, please respond to the individual sending the message, and permanently delete the original and any copy of any e-mail and printout thereof. with premium sakes from the selected prefecture. Kicking off the series, the January 18th dinner focuses on the region of Chūgoku. USA to feature these particular sakes. Brews from Asahi Shuzo are clean, soft and very subtle and are the perfect pairing for the Chugoku menu. The traditional tea service will conclude the evening. The omakase menu with sake pairings is $125 per person (tax and gratuity additional). calling the restaurant at 312.595.2300. CHICAGO (January 9, 2013) – Dig Two Graves, LLC and Producer PJ Fishwick, Line Producer Claire Connelly, and Associate Producers Philip S. Plowden and Jon Parker have announced the full cast and creative team for the independent Feature Film Dig Two Graves. The new thriller written by Hunter Adams and Jeremy Phillips, is being directed by Hunter Adams and has begun filming in and around the Shawnee National Forest area of Southern Illinois. “We are thrilled to have filmmakers utilize Illinois’ picturesque scenery,” said IFO Managing Director Betsy Steinberg. Dig Two Graves is filming in a number of Southern Illinois' unique and scenic locations including the Cypress Swamps of the Cache River, the Tunnel Hill State Trail and Cave-in-Rock State Park as well as the historic antebellum A.J. Kuykendall Home in Vienna. Ted Levine (Shutter Island; American Gangster; Silence of the Lambs) in the role of “Sheriff Waterhouse” and Danny Goldring (The Dark Knight; Chicago Overcoat; The Fugitive) as “Proctor” lead the cast. 14-year-old newcomer and Oklahoma native, Sami Isler stars in the role of “Jake Mather.” They are joined by Troy Ruptash (30 Days of Night Dark Days; Tortilla Soup) as “Wyeth.” Mikush Lleshdedaj and Chicago actors Bradley Grant Smith, Kara Zediker, Ryan Kitley, Mark Lancaster, Dean Evans, Audrey Francis, Ann Sonneville, Bert Matias, Sauda Namir, Ben Schneider, and Southern Illinois native Gabe Cain round out the cast. The creative team for Dig Two Graves is being led by: Eric Maddison (Director of Photography); Merje Veski (Production Designer); Lizzie Cook (Costume Designer); Rebekah Lieto (Hair & Make-Up Design); Matt Miller (Casting); Tom Lowell (Stunts); Jay Appleberry (Special Effects); Ron Forsythe (Gaffer); Sarah Schooley (Script Supervisor); Danny Rodriguez (Sound Mixer); Matt Stratton (Armorer); and Buddy Hickerson (Storyboard Artist). Southern Illinois native and college professor Tony Gerard is serving as the Fixer and Animal Wrangler, and local historian and author Jon Musgrave is working closely with the Locations Department. Raised in the north woods of Wisconsin on beer and wild boar Hunter Adams, 32, brings his slightly off-kilter worldview to his films, whether it's romance, comedy, or in the case of his latest project, Dig Two Graves, a gothic thriller of revenge and buried secrets. Adams' previous writing and directing efforts include his first feature film, The Hungry Bull, and the short film Hollywood Beat which won the audience award at the 2011 Los Angeles Comedy Festival. The Hungry Bull was a whiskey-soaked comedy about obsessive love that traced the unlikely friendship of two miscreants as they sought redemption from their trouble pasts. It screened at the American Cinematheque's Emerging Filmmaker Series in Hollywood. Adams graduated Phi Beta Kappa at University of Wisconsin at Madison in 2003. The mysterious death of a young boy triggers the unearthing of a town’s long buried secrets. Thank You! And Happy New Year! We would like to thank all of you so much for your business this holiday season! We know you have many choices, and so we really appreciate when you choose to shop with us! We had a good holiday season and a good year (so many of you have asked how we are doing--thank you so much for caring about us! ), and we know that it is all of you we have to thank. Women & Children First's customers are THE BEST! Ann, Linda, and the whole staff! 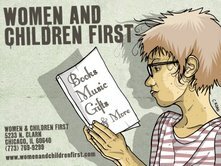 If you have received an electronic reader as a gift this holiday season, you can still support Women & Children First! The Kobo e-books we sell on our website can be read on any open-platform device, including Sony, Nook, iPhone, iPad, and Kobo devices. All you have to do is set up your Kobo account through our website (www.womenandchildrenfirst.com ), download the free app, and start shopping! 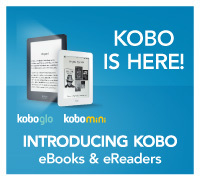 All e-books you buy from Kobo using that account will help Women & Children First. And, of course, if you didn't get an e-reader for Christmas but would like one, come in and look at the wonderful new Kobo Mini's and Kobo Glo's that we have for sale right in our store! The Color Complex is a provocative exploration of how Western standards of beauty are influencing cultures across the globe and affecting personal, professional, romantic, and familial relationships. Processes like skin lightening in India, hair straightening among African Americans in America, eyelid reconstruction in China, and plastic surgery worldwide continue to rise in popularity for men and women facing discrimination from both within and outside of their own increasingly fluid ethnic groups. The authors, through a historical and sociological lens, have measured the impact of recent pop culture events affecting race relations to determine whether colorism has gotten better or worse over time. Midge Wilson is associate dean of Liberal Arts & Social Sciences and professor of Psychology and Women's and Gender Studies at DePaul University. 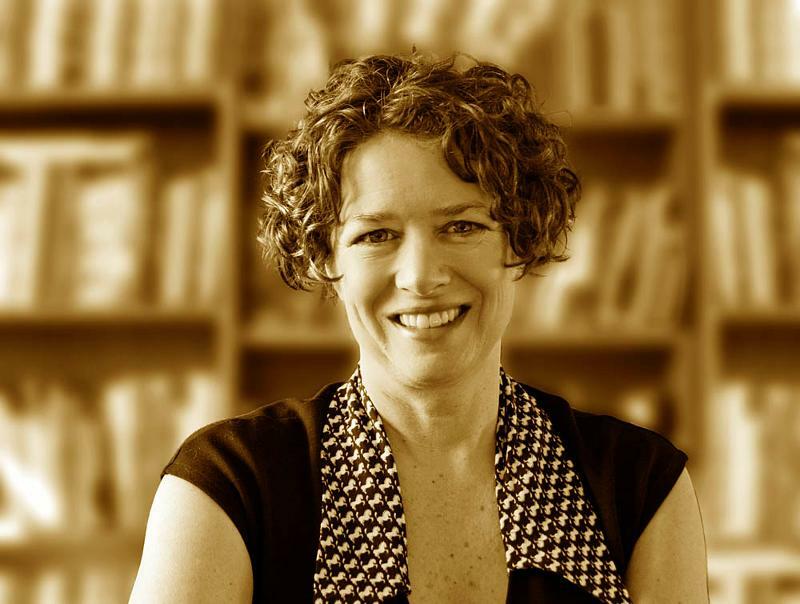 Kathy Russell is a vice president at Omar Supplies, Inc.
Chasing Sylvia Beach celebrates the world of Sylvia Beach, the plucky American who moved to Paris in 1919 and opened Shakespeare and Company bookshop, the first English-language lending library and bookshop in Paris. Chasing Sylvia Beach tells the dual stories of this American heroine and Lily Heller, a contemporary woman who dreams of her own heroic life. Author Cynthia Morris was working at an independent bookstore in Denver when she read about Sylvia Beach. "I was struck by Sylvia's commitment to books, to the people who write them and read them. It wasn't easy to keep her bookshop open. She faced many of the same challenges booksellers know today." Despite the anxiety caused by recent shifts in the publishing landscape, people are still reading books, and Morris's heroine Lily Heller is a hopeful bridge between booksellers past and present. Chasing Sylvia Beach is an ode to books and booksellers in every era. Cynthia Morris is also a coach, speaker, and author of the how-to guide Create Your Writer's Life. In lieu of our regularly scheduled Sappho's Salon, tonight we are celebrating the launch of Ms. Fit online zine: a feminist, body-positive, LGBTQ-friendly health and fitness zine, published by Sappho's Salon curator and host, Kathie Bergquist. Join Kathie and other Ms. Fit editors and contributors for a lively evening of readings, performances, and a special demonstration from Searah Deysach of Early to Bed. Refreshments will be served, and all guests will be entered in a drawing to receive great prizes. Proceeds benefit Ms. Fit online zine and the Women's Voices Fund. Wednesday, January 23rd - Deadline to sign up to be a Book Giver on World Book Night! This year World Book Night is Tuesday, April 23. Join the fun! Volunteer to be a Book Giver.
.) You get free 20 copies of the book you select, and you can distribute them anywhere in your community you want--a store, church, shelter or community center, sporting event, hospital, or prison. You choose! , and sign up now! And Women & Children First is a host store, so make sure you choose us as your pickup site! 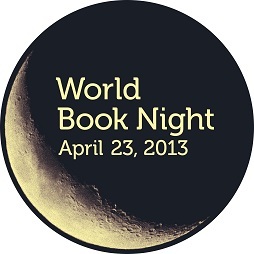 We will also be having a World Book Night party at the store--stay tuned for details coming soon! The debut novel by local author Angela Koenig! While visiting family in Ulster, Rhodes Scholar Jeri O'Donnell's beloved cousin, Fiona, is killed, and Jeri ends up in Armagh Women's Prison. When Jeri is released as precipitously as she was imprisoned, she chooses to embrace Fiona's struggle as her own and joins the Provisional IRA. After training in the Irish Republic and then in Eastern Europe, Jeri, who is cool under pressure and fierce in action, is the ideal urban soldier, whether in Rotterdam, Belgrade, or Belfast. But Jeri's inconsolable remorse over Fiona's death makes intimacy virtually impossible. Several women try to reach her, but the violence of her life only drives her further from human comfort. Although she can never stop questioning the morality of her actions, Jeri has a taste for fighting that she once hoped to leave behind in the streets of Southie. When a bomb in Belfast explodes early, either through accident or design, the resulting carnage plunges Jeri into a despair that forces her to reconsider what choices, if any, are left to her. Eslanda "Essie" Cardozo Goode Robeson lived a colorful and amazing life. Her career and commitments took her many places: colonial Africa in 1936, the front lines of the Spanish Civil War, the founding meeting of the United Nations, Nazi-occupied Berlin, Stalin's Russia, China two months after Mao's revolution, and defiant testifying before Senator Joseph McCarthy's infamous anticommunist committee. She was a woman of unusual accomplishments-an anthropologist, a prolific journalist, a tireless advocate of women's rights, an outspoken anticolonial and antiracist activist, and an internationally sought-after speaker. Chronicling Essie's eventful life, the book explores her influence on her husband's early career and their unconventional open marriage that endured for more than 40 years. Barbara Ransby is professor in the departments of African American Studies, Gender and Women's Studies, and History and director of the Gender and Women's Studies Program at UIC. 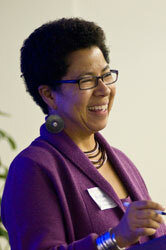 She is author of the award-winning Ella Baker and the Black Freedom Movement. Activities and games, giveaways, snacks, and good times for all! 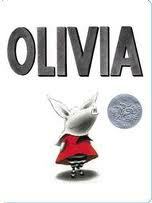 All children ages 3 to 8 (and their chosen adults) are welcome to help us celebrate all things Olivia. Silver Eye Center for Photography, the region’s premiere space for contemporary photography, is pleased to announce that Diane Meyer (Santa Monica, CA) and Ross Mantle (Pittsburgh, PA) are the winners of the Fellowship 13 International Photography Competition. Now in its 13th year, this juried competition identifies and recognizes both rising talent and established photographers from all corners of the globe and from the state of Pennsylvania. 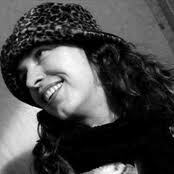 This year’s judge was Sam Barzilay, Creative Director, United Photo Industries, Brooklyn, NY. The winning portfolios by Diane Meyer and Ross Mantle will be on view at Silver Eye Center for Photography from January 25 through March 16, 2013. Admission is free and open to the public. The opening reception takes place on Friday, January 25 from 6 – 8:30 pm, followed by a gallery talk with coffee and the artists on Saturday, January 26 at 10 am. Both events are free and open to the public. 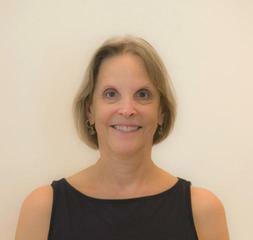 Diane Meyer is an Associate Professor of Photography at Loyola Marymount University and resides in Santa Monica. She received her BFA in Photography from New York University, Tisch School of the Arts in 1999 and an MFA in Visual Arts from The University of California, San Diego in 2002. Ross Mantle received his BS in Visual Communication from Ohio University in Athens, Ohio in 2008 and currently divides his time between his hometown of Pittsburgh and Brooklyn, NY. In 2011, he exhibited In the Wake: Photographs from the Monongahela Valley at 707 Gallery in Pittsburgh, PA, and his two-man show, Confluence (with Jim Korpi) was on view at UnSmoke Artspace in Braddock, PA, and Exposure Gallery in San Francisco. Ross’s work is found in the collections of the Houston Center for Photography and the Museum of Fine Arts, Houston, TX.
. Judge’s Commendations have been awarded to the following eight artists: Sue Abramson (Pittsburgh, PA); Noah Addis (Philadelphia, PA); Jana Cruder (Los Angeles, CA); Sarah Cusimano Miles (Gadsden, AL); Mark Dorf (Brooklyn, NY); Matt Eich (Norfolk, VA); Andrew Frost (Syracuse, NY); and Vesna Pavlovic (Nashville, TN). This marks the 13th consecutive year of Silver Eye’s Fellowship program, which has now awarded more than $54,000 in unrestricted grants and solo exhibitions to 16 emerging and mid-career photographers. The program is an integral part of Silver Eye’s mission to directly support and provide encouragement to gifted and committed photographers from the region, the United States, and abroad. Past winners include Elijah Gowin (2000); Susan Dunkerley (2001); Kerry Stuart Coppin (2002); Sue Stepusin (2003); Dylan Vitone (2004); Jeff Krolick (2005); Howard Henry Chen (2006); Caleb Charland (2007); Martin Weber (2008); Katrina D’Autremont (2009); Laura Heyman and Laura Bell (2010-11); and Akihiko Miyoshi and Isa Leshko (2012). Silver Eye Center for Photography is the only non-profit organization in Pittsburgh and the surrounding region devoted exclusively to contemporary photography and related visual media. Founded in 1985, Silver Eye presents wide-ranging exhibitions by emerging and mid-career artists and has been a catalyst and advocate for new ideas, discourse, and trends in the field. Silver Eye Center for Photography is generously supported by our members and individual donors and by the Allegheny Regional Asset District, A.W. Mellon Education and Charitable Trust Fund of The Pittsburgh Foundation, The Fine Foundation, BNY Mellon, The Grable Foundation, The Heinz Endowments, The Hillman Foundation, The Laurel Foundation, Pennsylvania Council on the Arts, and Epson America. Silver Eye is located at 1015 East Carson Street in Pittsburgh’s historic Southside. Gallery hours are Tuesday through Saturday, noon to 6 pm. Admission is free and open to the public. For additional information, press images, or to schedule an interview with Diane Meyer, Ross Mantle, and/or Sam Barzilay, please contact: Juliana Zipay, Membership & Marketing Assistant, 412.431.1810, ext. 12, jzipay@silvereye.org. Photo Credits (left to right, top to bottom): Diane Meyer, Mauer Park, Berlin, 2012; New Jersey II, 2011. Hand-sewn archival inkjet prints. Courtesy of the artist. Ross Mantle, Untitled, from the series California, Pennsylvania, 2010-2012. Archival pigment prints. Courtesy of the artist. photo l.a, MOPLA, Emerging Scholarship and more!